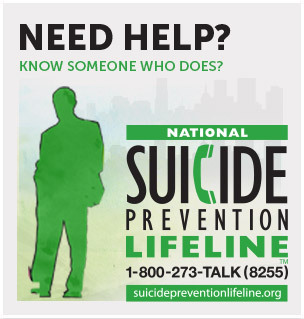 Do you have questions about suicide risk and prevention strategies? Would you like to share ideas and get timely feedback? Then the “Ask the Expert” Facebook Forum on Suicide Prevention is for you. 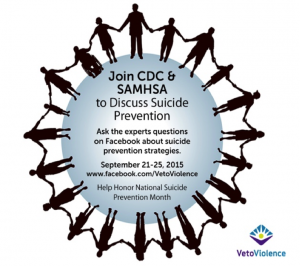 The CDC’s Division of Violence Prevention and The Substance Abuse & Mental Health Services Administration (SAMHSA) are hosting a week-long virtual forum to empower everyone as they collaborate to stop suicidal thoughts and behaviors early.